Treat dry, limp and lifeless locks with the PHYTO PHYTOELIXIR Intense nutrition shampoo, a lavish shampoo to enrich hair with a concentrated burst of nourishment and hydration sourced from botanical ingredients and essential oils. A rich formula that gently foams as it cleanses, the shampoo helps remove dirt, impurities and product build up. Infused with extracts of potent Narcissus Flower wax to release a subtle yet uplifting fragrance, whilst Macadamia Oil helps renew and revitalise. Suitable for all hair types, hair is left sumptuously soft with a healthy sheen. Active Ingredients: Narcissus Flower, Macadamia Oil. 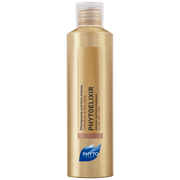 Phyto Shampoo Phytoelixir: Intense Nutrition Shampoo For Ultra Dry Hair 200ml / 6.7 fl.oz. 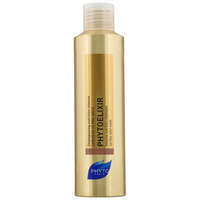 PHYTO PHYTOELIXIR Intense nutrition shampoo 200ml was found on 5 websites and was price compared using EAN: 3338221000569. The cheapest PHYTO PHYTOELIXIR Intense nutrition shampoo 200ml is shown as the main item, prices range from £15.50 to £15.50, excluding delivery. Price comparison based on price and delivery charges, with any valid discount codes being applied, is shown in the table above. Prices and information correct at the time of publication.